In Sweden, there are 1.3 million leisure boats. This means that every seventh Swede owns a boat, which may not come as a surprise when you consider that Sweden has 2500 km of coastline, from Svinesund north of Strömstad to Haparanda. If all bays, points and islands were included, the distance would be five times as long, 12,500 km – the same distance as a quarter of the Earth’s circumference. Sweden’s archipelagos have more than 60,000 islands. There are also more than 95,000 navigable lakes and 1000 km of canal. Most of the leisure boats are small motorboats with relatively small engines. They are often two-stroke engines of less than 10 hp, which generate relatively high quantities of polyaromatic hydrocarbons (PAH) and nitrogen oxide. 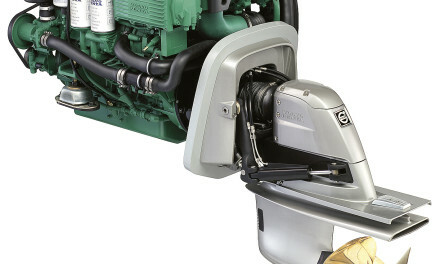 Four-stroke engines, which are less polluting, have increased in number in recent years. At the same time, the larger engines consume more fuel. Another environmental problem which affects both motor and sailing boats is something all boat owners have experienced, but which is hidden below the surface – fouling. This is largely a marine problem. Barnacles are a problem for many boat owners. A major problem for boat owners is algae, mussels and barnacles which quickly attach themselves to the hull, unless it has been treated with some form of antifouling. After six months in the water, a boat may use 40 percent more fuel as friction increases due to fouling. The increased fuel consumption cost owners a lot of money, and results in more pollution and carbon dioxide. Many of the substances used to prevent fouling are harmful to other plants and animals. This is hardly a surprising effect, bearing in mind the purpose of the antifouling. In the past, substances used included mercury, arsenic and copper, all of which are highly toxic. These are now banned in antifouling products, but substances such as TBT, tributyl tin, one of the substances in modern antifouling, is seriously toxic, although to a different extent. According to the UN agency IMO, TBT will, however, be banned as of 2008, and must not remain on hulls in such a way that it may leach into the water. The regulations for antifouling have, in other words, been tightened up over time, and today, there are less toxic antifouling paints available on the market. The drawback for boat owners is that these are not always as effective. Copper combined with some form of biocide, substances which kill living organisms, is now used in antifouling paints. These are not as hazardous, but still have a negative impact on the environment as the paint slowly dissolves and disperses from the hull, and the toxic substances enters the eco system. When the boats are lifted out of the water and washed down in autumn, the discharge can be come more concentrated. Sanding dust and paint scrapings pollute the ground at the winter storage site. There are some alternatives to toxic antifouling paints. For example, organisms have difficulties in clinging to a smooth hull. This is an area where nanotechnology may be employed in the future. Lifting the boat and scraping off the fouling is also an alternative which works well on smaller boats, but it is hardly an option for commercial operators. A small number of harbours have washing facilities similar to car washes. The leisure boat is lifted out of the water and the hull is washed with large, rotating brushes. But unfortunately, there is a long way to go before a solution is found to the problem of toxic antifouling. The aim of research into environmentally-sustainable alternatives to antifouling carried out by the company I-Tech AB, in partnership with the Marine Paint research programme, is to develop the next generation of antifouling. Biologists and chemists are together creating a large information base on marine fouling. This information will later be owned, developed and commercialised by I-Tech. The aim is to develop methods which prevent fouling. The methods must also be environmentally acceptable, financially competitive and effective from the boat owners’ point of view. The end-product must be usable on both leisure boats and larger vessels. 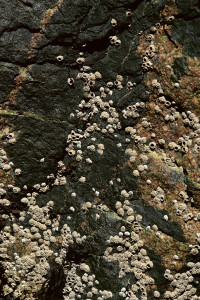 The scientists have developed substances called catemines which, when added at low concentration to a paint, can keep a surface completely free of barnacles by preventing them from attaching themselves. At first, the scientists believed that this was because the barnacles could no longer produce the adhesive they need to attach themselves to a surface. But instead, the catemines appear to affect the leg movement of the barnacles and make them swim faster. This prevents them from docking with the surface or remaining in one place. An unanswered question is whether catemines are environmentally hazardous. Scientists have now carried out a number of studies which show that, based on current knowledge, the substances are not environmentally hazardous. The scientists, who are working on behalf of Gothenburg University and Chalmers University of Technology, will continue to develop a paint system for the substance, and produce substances which will prevent other types of hull fouling. 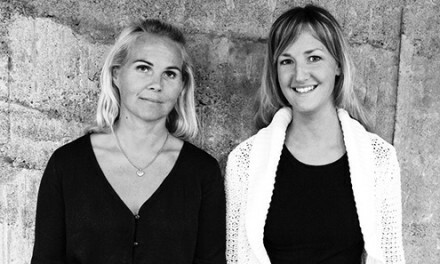 The Mistra research foundation has been supporting the programme since 2003.